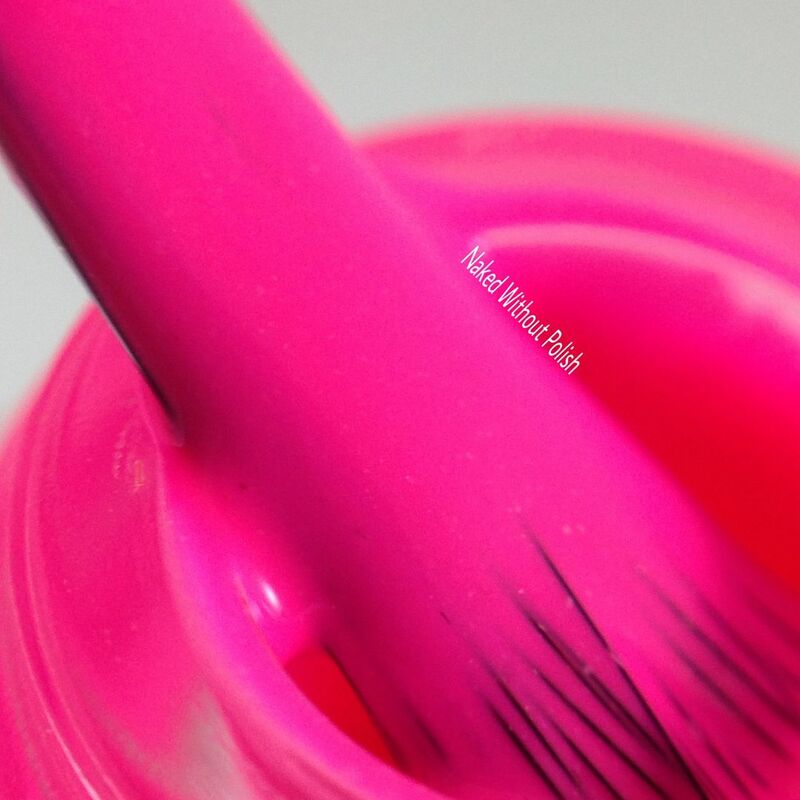 Who is ready for Valentine's Day collections?! Yes? No? 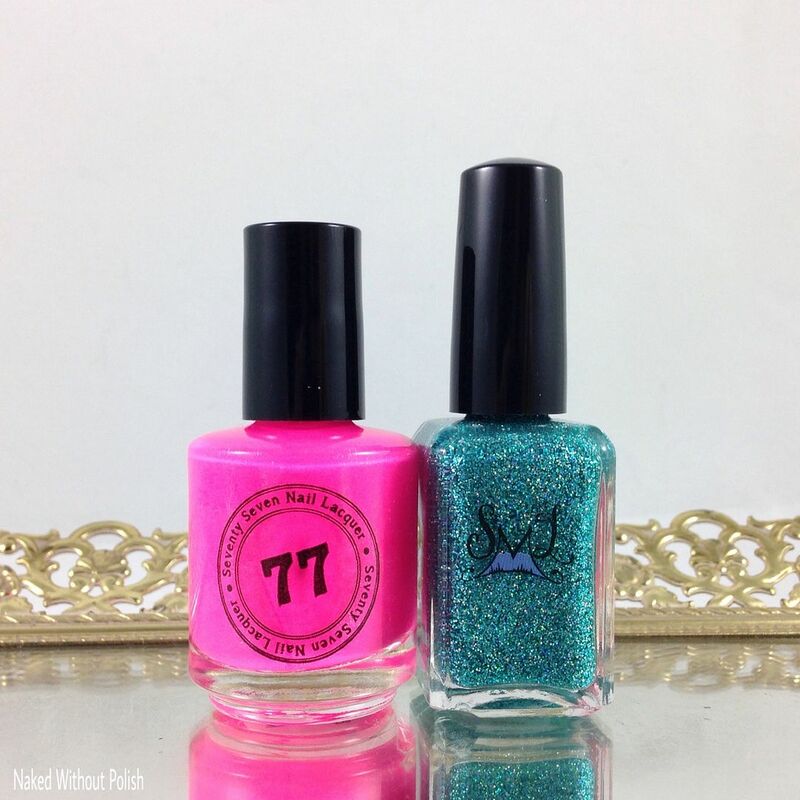 I'm still not sure if I'm ready for anything Valentine's Day related (even though candy and cards have been in stores for over a month here already) but, I've got the upcoming Anti-Valentine's Day Duo from Smokey Mountain Lacquer and Seventy Seven Nail Lacquer to show you all. This duo is so playful. 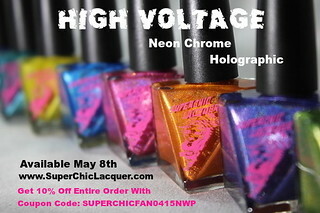 We've got a vibrant neon pink and a shimmery turquoise. As someone who is indifferent to Valentine's Day, this duo is everything! Colors I want to wear year round, polishes I will, for sure, find myself reaching for on numerous occasions. Ready to get a peek? Keep reading!! 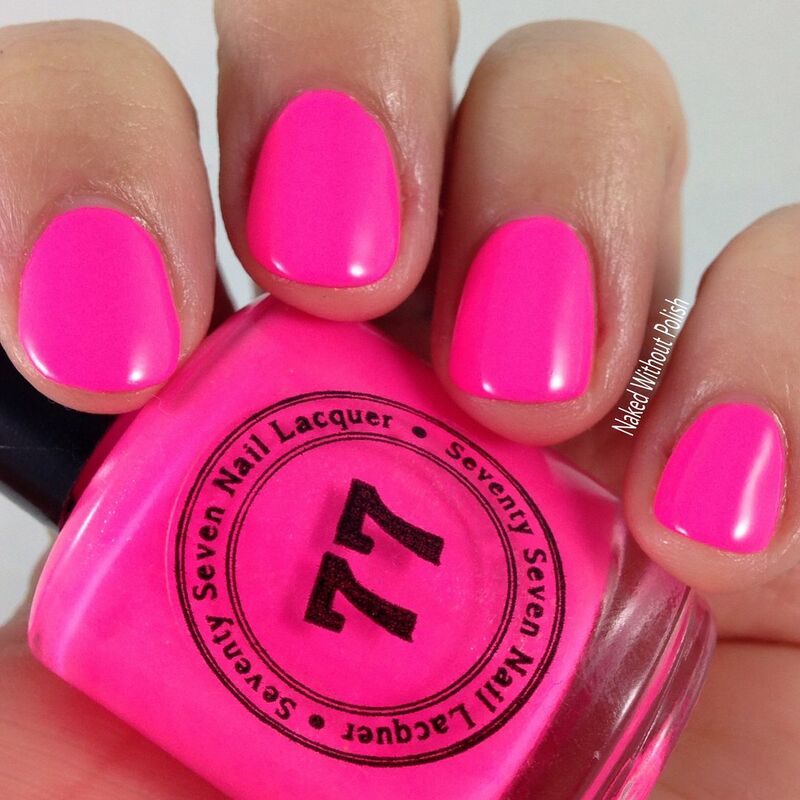 Seventy Seven Nail Lacquer's contribution is Be My Anti-Valentine. 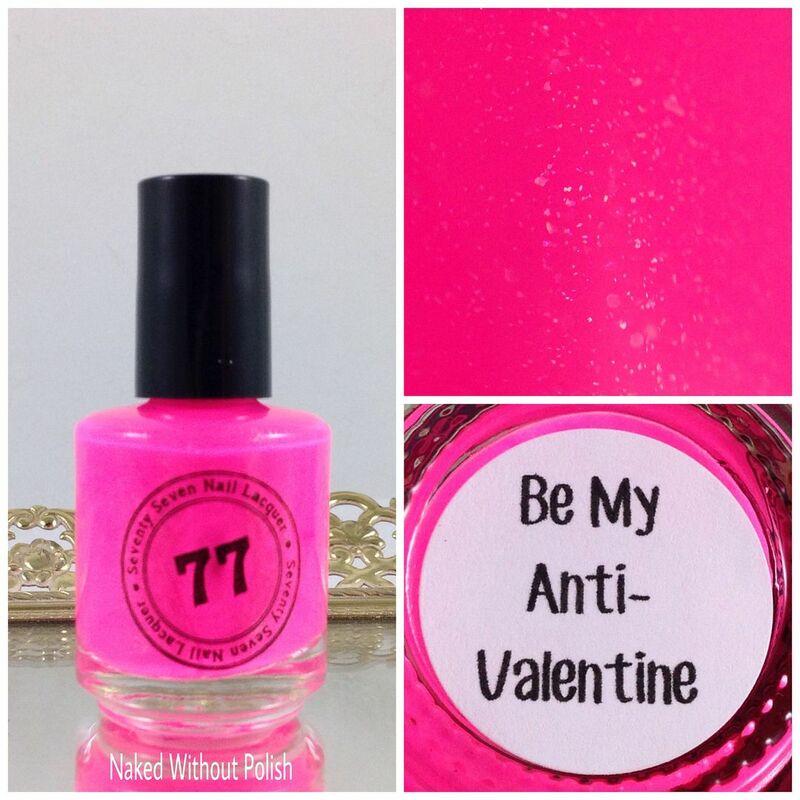 Be My Anti-Valentine is described as "a neon pink creme with subtle shimmer". Shown is two coats of Be My Anti-Valentine with top coat. Be My Anti-Valentine is the first neon (I've seen) this season year. 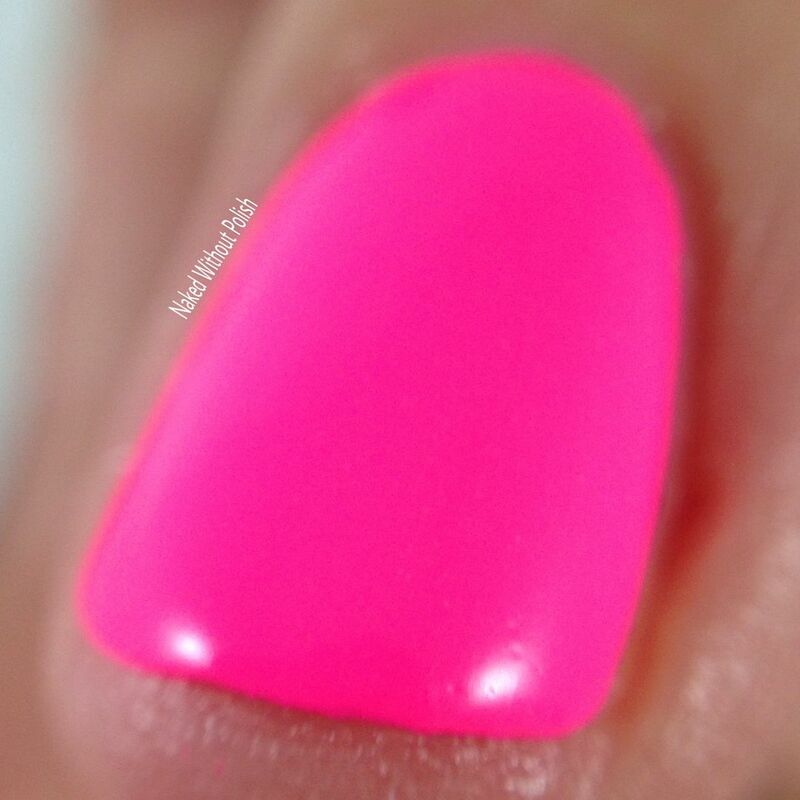 It is absolutely the perfect neon pink creme I have. Almost a one coater, but two coats was flawless. The only shame is that the shimmer wasn't more prominent, but you end up being so obsessed with how pigmented the polish is that you really don't even notice that the shimmer isn't in your face. It had such an impressive, smooth application. The color is even more vibrant than I could capture in my photos. I'm one who is obsessed with bright polishes when it is cold and snowy. This is my perfect winter polish! Smokey Mountain Lacquer's contribution is Treat Yourself. 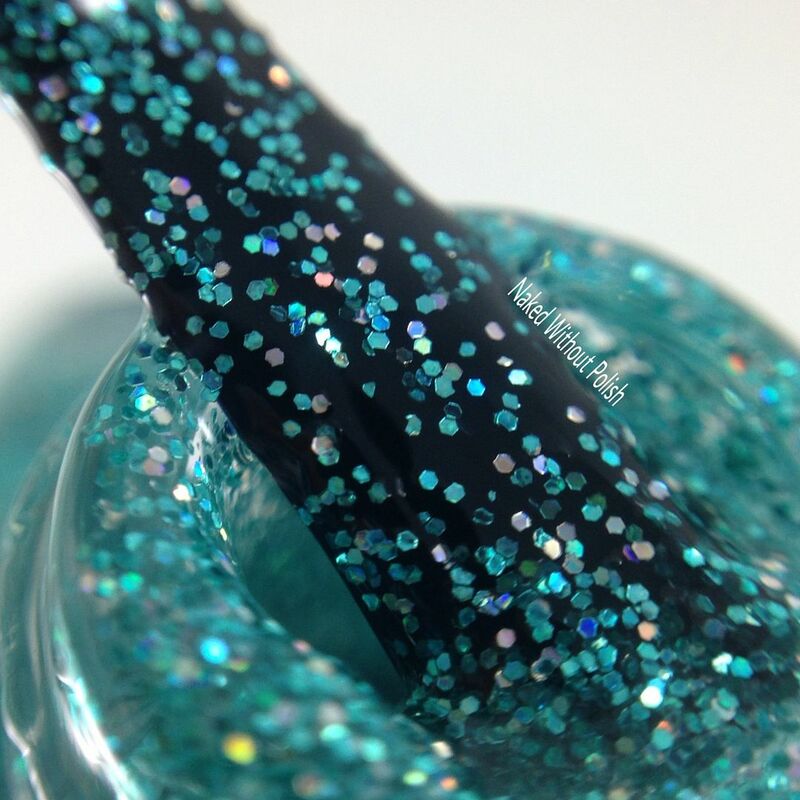 Treat Yourself is described as "a turquoise and silver holo micro glitter bomb". Shown is two coats of Treat Yourself with top coat. Treat Yourself is so much fun! I was excited to see this one when I was unwrapping them. 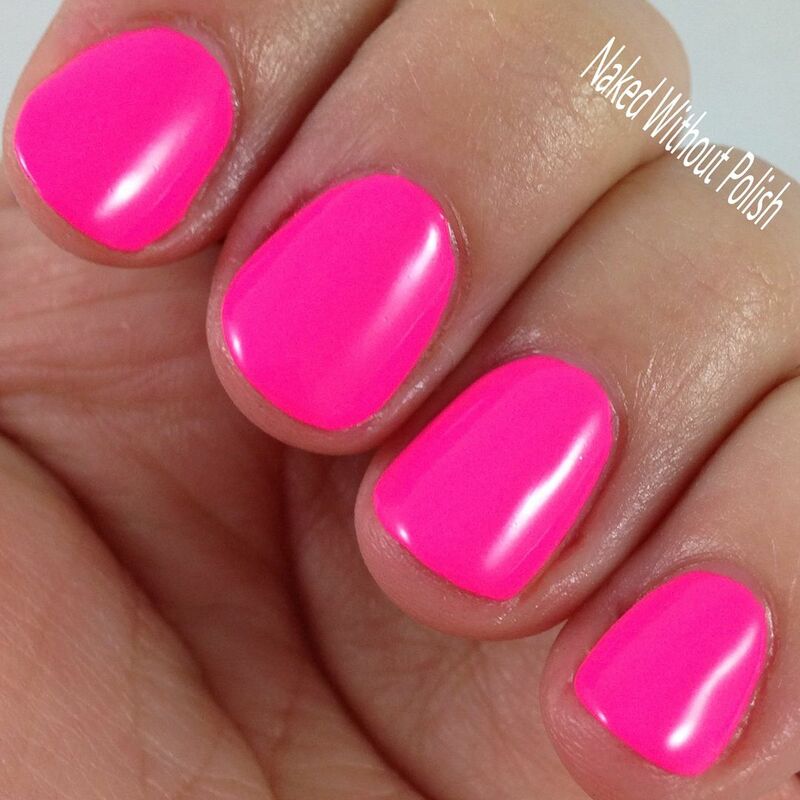 It's a great color for winter, a bit unconventional for Valentine's Day, and perfect for this theme! It is jam packed with glitter, so it could be a little on the thick side. My house was super cold and I couldn't get the polish to acclimate like they normally do, so I needed to use a little thinner. The thickness didn't make it difficult to use at all. 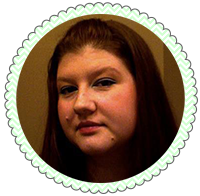 (Just a little when I attempted to use it in a gradient over the pink.) However, it only took two coats to get my nails fully opaque. 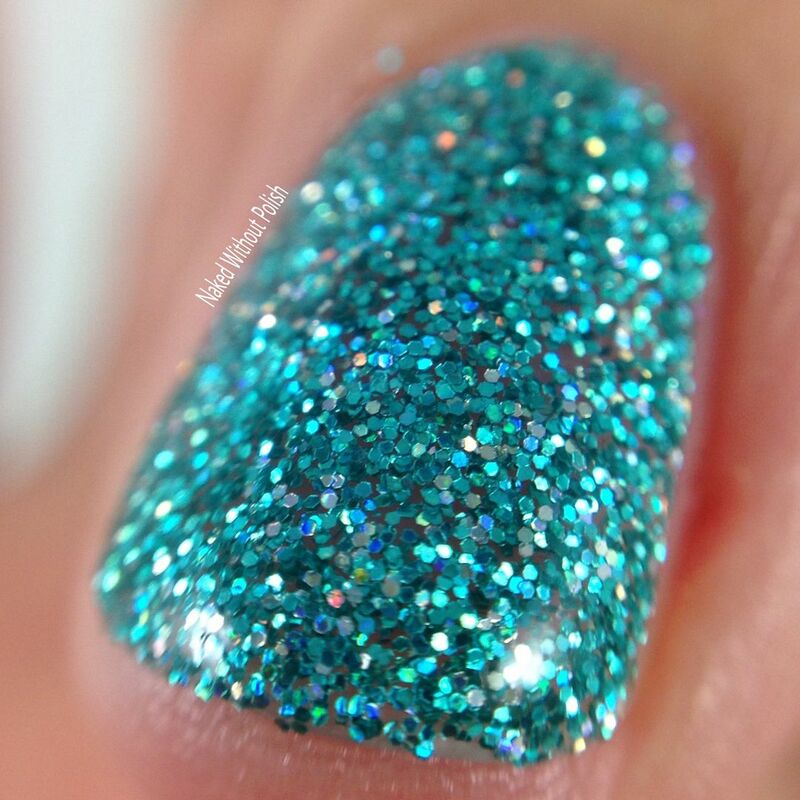 For any glitter bomb polish, that is a wonderful achievement! The Anti-Valentine's Day Duo will be available to pre-order on January 11th at 8 am CST at www.smokeymountainlacquers.com. The pre-order will run through January 18th at 9 pm CST. They will only be sold in the duo, not individually, for $17 plus shipping. 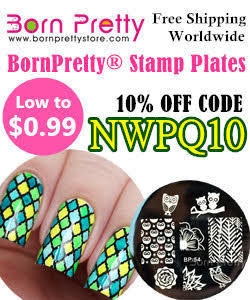 Yes, it will only be available in Smokey Mountain Lacquer's shop, not both. However, both will be releasing information so make sure you are following Smokey Mountain Lacqer and Seventy Seven Nail Lacquer on all of their social media platforms (links below) to stay updated on news, releases, and sales. What do you all think of this duo? You ready for the Valentine's Day collections to start? I'm still not over Christmas, hard to imagine it's almost time for Valentine's Day.